Though his comedy drew on tough experiences as a black man, he had mainstream appeal — befitting inspiration he found in a wide range of humorists: Harpo Marx as well as Moms Mabley; squeaky-clean Red Skelton, but also the raw Redd Foxx. Mac died Saturday morning from complications due to pneumonia in a Chicago area hospital, his publicist, Danica Smith, said in a statement from Los Angeles. She said no other details were available. “The world just got a little less funny,” said “Oceans” co-star George Clooney. Mac suffered from sarcoidosis, an inflammatory lung disease that produces tiny lumps of cells in the body’s organs, but had said the condition went into remission in 2005. He recently was hospitalized and treated for pneumonia, which his publicist said was not related to the disease. He was one of “The Original Kings of Comedy” in the 2000 documentary of that title that brought a new generation of black standup comedy stars to a wider audience. 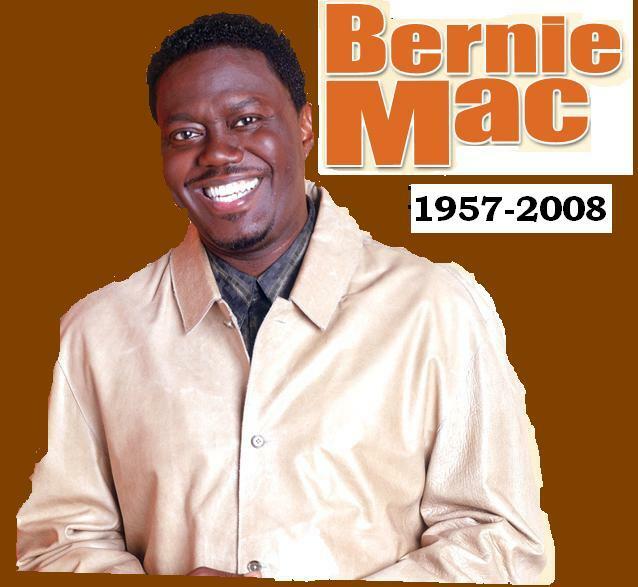 “The majority of his core fan base will remember that when they paid their money to see Bernie Mac … he gave them their money’s worth,” Steve Harvey, one of his co-stars in “Original Kings,” told CNN on Saturday. Mac went on to star in the hugely popular “Ocean’s Eleven” franchise with Brad Pitt and George Clooney, playing a gaming-table dealer who was in on the heist. Carl Reiner, who also appeared in the “Ocean’s” films, said Saturday he was “in utter shock” because he thought Mac’s health was improving. Mac and Ashton Kutcher topped the box office in 2005’s “Guess Who,” a comedy remake of the classic Spencer Tracy and Katharine Hepburn drama “Guess Who’s Coming to Dinner?” Mac played the dad who’s shocked that his daughter is marrying a white man. But his career and comic identity were forged in television. In the late 1990s, he had a recurring role in “Moesha,” the UPN network comedy starring pop star Brandy. The critical and popular acclaim came after he landed his own Fox television series “The Bernie Mac Show,” about a child-averse couple who suddenly are saddled with three children. The series won a Peabody Award in 2002, and Mac was nominated for a Golden Globe and an Emmy. In real life, he was “the king of his household” — very much like his character on that series, his daughter, Je’niece Childress, told The Associated Press on Saturday. He also was nominated for a Grammy award for best comedy album in 2001 along with his “The Original Kings of Comedy” co-stars Harvey, D.L. Hughley and Cedric The Entertainer. Chicago music producer Carolyn Albritton said she was Bernie Mac’s first manager, having met him in 1991 at Chicago’s Cotton Club where she hosted an open-mike night. He was an immediate hit, Albritton said Saturday, and he asked her to help guide his career. In 2007, Mac told David Letterman on CBS’ “Late Show” that he planned to retire soon. Mac was born Bernard Jeffrey McCullough on Oct. 5, 1957, in Chicago. He grew up on the city’s South Side, living with his mother and grandparents. His grandfather was the deacon of a Baptist church. In his 2004 memoir, “Maybe You Never Cry Again,” Mac wrote about having a poor childhood — eating bologna for dinner — and a strict, no-nonsense upbringing. Mac’s mother died of cancer when he was 16. In his book, Mac said she was a support for him and told him he would surprise everyone when he grew up. Mac’s death Saturday coincided with the annual Bud Billiken Parade in Chicago, a major event in the predominantly black South Side that the comedian had previously attended.